We are offering an enormous range of Quartz Silica Sand according to our clients’ needs. In compliance with set industry standards, the provided sand is processed by grinding, crushing and washing the high-grade quartz rocks at our well-maintained production unit. Our offered products can be availed by our precious clients at very reasonable prices. We are one of the most leading manufacturer & supplier of Industrial Quartz Silica Sand, White Quartz Sand. It is of particle size and are of pure quality. Our Quartz Silica Sand is processed properly to minimize impurities. 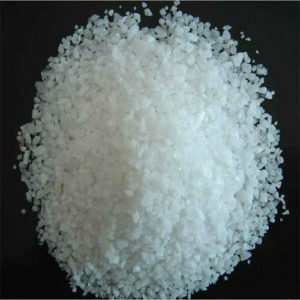 Quartz Silica Sand is mostly used in foundry, construction, abrasive blasting, rail-road, water purifier and other purposes. These sands are highly appreciated by our valuable clients. Quartz Sand is extensively used in various industrial requirements as construction, water purifier, concreting, waterproofing, as a bed material for boilers. Our ranges of this are processed in the most hygienic conditions in order to ensure highest safety. We offer these to our clients as per their requirement. Quartz Silica Sand it is used for a wide range of applications. Sand is the general term for broken down granules of minerals or stone, falling between silt and gravel in the spectrum of sizes. There are many varieties of sand in the world, each with their own unique composition and qualities. of which quartz is a specific latticed structure. So silica sand is quartz that over the years, through the work of water and wind, has been broken down into tiny granules. These granules can be used for many different purposes, and can be found in most non-tropical regions of the world. Quartz Silica Sand used for water purification and manufacture of glass, synthetic foundry moulding catalysts, disodium ultramarine etc. it is also used for acid heat resistant ceramics, refractories, pottery glaze, enamel etc. Silica sand of 150 mesh is used in Sawing stone, grinding and surfacing glass and polishing marble Rounded Grains of silica sand are used for sand blasting it is also used as a filler in paints ‘Wood Paste’ moulded hard rubber goods, gypsum Plasters, oxychloride acoustic plasters and soap. Being the most respected organization guided by experienced and knowledgeable professionals, we provide an enormous assortment of Quartz Silica Sand.